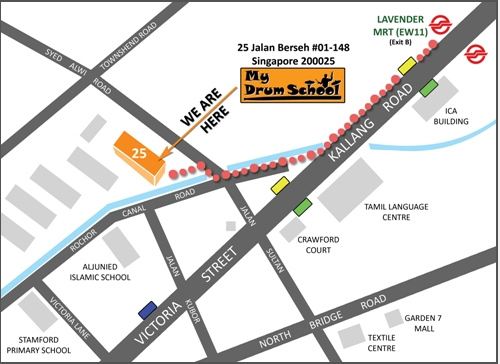 My Drum School Lavender (City) is located off Victoria Street between Lavender MRT and Bugis MRT. Our school is approximately 600 metres from Lavender Station (EW11). It takes about 8 minutes to walk to MDS from the Lavender station.